I wrote about the Volatility Index (VIX) several years ago explaining why it behaves the way it is. I also presented the idea that understanding the players in the trading game is more important than focusing just on the technical details like the Greeks in option trading. And here we are, in year 2017 where the S&P500 Index is standing near 2300 level, what should we expect from the Volatility Index this time? Here is the original table of VIX and the corresponding volatility at various price levels that I posted back in year 2013. 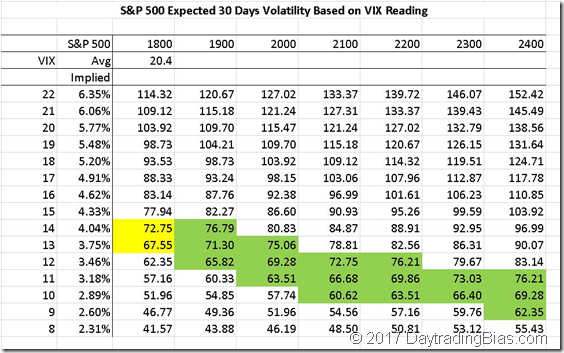 The yellow highlight areas are the average VIX level when S&P is trading around the corresponding round number price levels. In short, what I have pointed out back then is that in real world, traders and market making firms do not price the options based on things like a percentage of the face value or whatever fancy optimized computations one can dream up with. It is always the affordability (i.e. 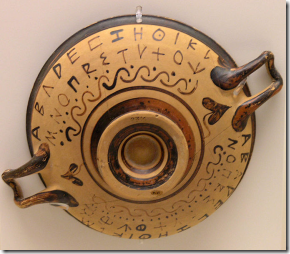 how much risk the player can take on) that drives the way the options are traded. Hence the near constant absolute range being priced in, no matter what the actual price level S&P500 is standing at. Based on the historical behaviour, we can tell the norm of the acceptable range for the absolute volatility is centred around mid 60s to mid 70s. This gives us the ability to project where VIX will park itself at in the current all time high environment. Following is the table updated with the higher round number price levels and the related absolute volatility based on specific VIX levels. 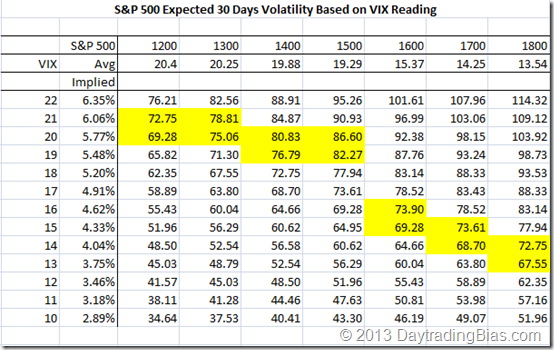 The green areas highlight the expected norm for which the average VIX is likely to land on. 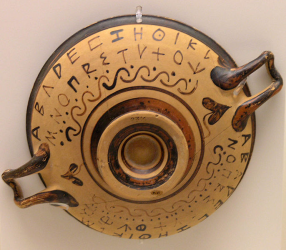 From the table above, there are several interesting observations to talk about. 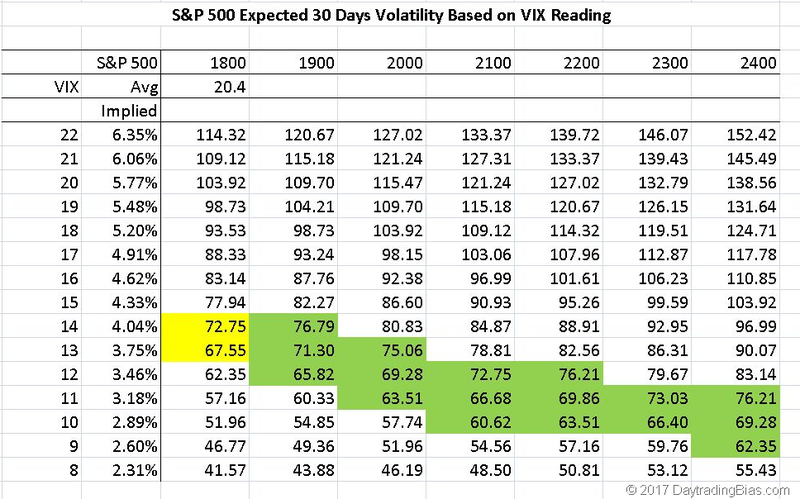 First, VIX sitting at 11 when S&P500 is trading around 2200 is normal, because it is expected to. Those doomsayers, who have no idea what they are talking about, keep proclaiming that VIX at whatever number of years new low completely ignored this simple fact. Historically, when S&P500 was trading below 1500, VIX can (and did) go below 9 for a period of time before producing the tops back then. Second, VIX is more likely to move lower once it stays near 2300 for a period of time. Third, for S&P500 to get a top, VIX may have to drop a lot more below the expected range to produce a long term top. In the current price level of 2300, VIX may have to go below 8 to signal an important top in the making. Long term comparison of VIX level is misleading because VIX readings at different price levels have drastically different meaning in terms of absolute volatility in the underlying S&P500 index. Multiple year low reading is a good headline for media buzz and even coincidentally calling the right swing tops and bottoms. 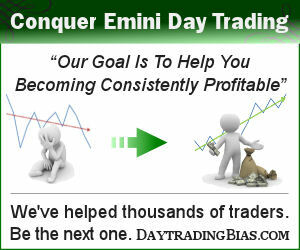 Such casual observations, however, are useless for professional traders and fund managers.